I hope you’re having a great weekend? I’ve been having a busy Sunday catching up with blogging, photography and trying to tidy my ever-messy house. 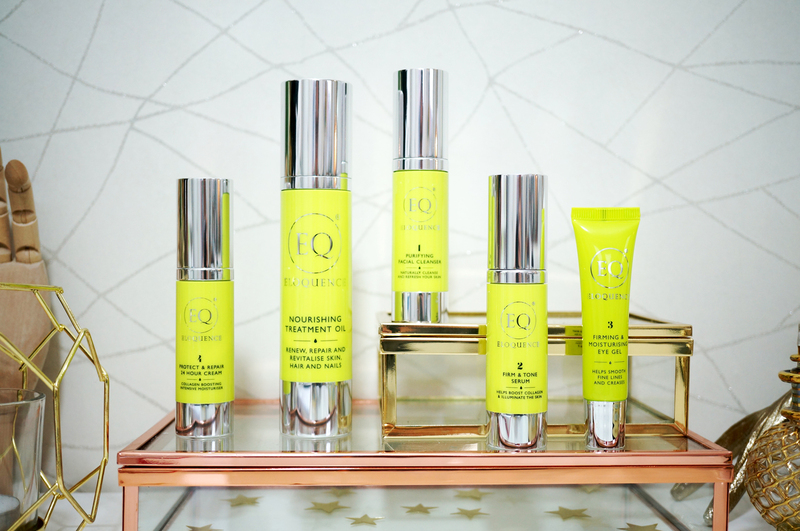 I thought I’d share some details with you this evening about a brand new and exciting skincare company that’s only just hit the market – Eloquence Beauty. 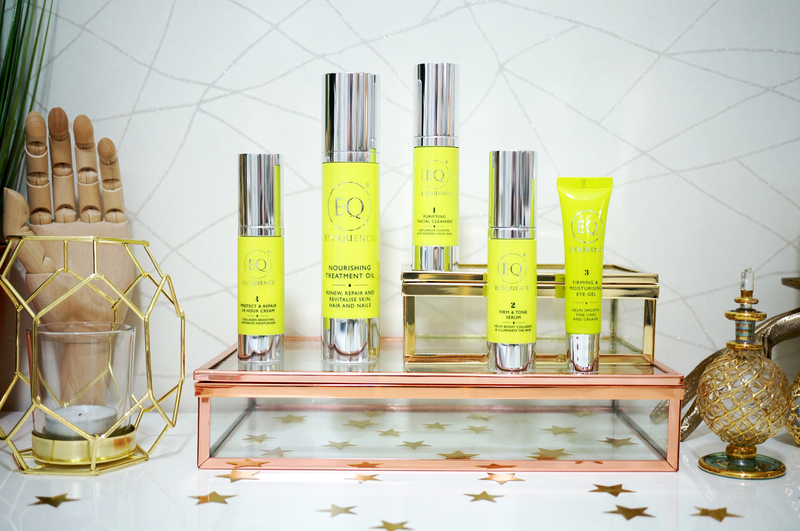 Eloquence offer natural, premium skin care products designed to enhance skin, hair and nails, and their focus is on anti-ageing, skin hydration and skin health – whilst offering the consumer value for money. They pride themselves on sourcing the finest ingredients such as Sachi Inchi Oil – known for its high levels of vitamins, antioxidants and fatty acids. This oil helps to restore the skins’ elasticity and combat dehydration, as well as fighting against premature ageing by intensely nourishing and protecting the skin from environmental stressors. Eloquence have included this wonder ingredient in all their products. Eloquence Beauty also enlisted the help and advice of an esteemed Pharmaceutical Product Development Manager to develop their products to be natural and beneficial, as well as luxurious yet affordable for all. It’s also worth noting that Eloquence’s products contain no artificial perfume or colour and no harsh chemicals, which makes them suitable for all skin types. So let’s take a look at the products! This Purifying cream Cleanser contains Cucumber and Coconut extract to leave skin feeling cleansed and refreshed without any tightness. My skin tends to be on the dry side, and that tight feeling you sometimes get after cleansing is a bit of a bugbear of mine. I’ll be reporting back soon on how this performs – fingers crossed it works well for me. The Firm & Tone Serum incorporates Glycerin and Coconut oil to help illuminate the complexion and give a flawless appearance. Hyaluronic Acid has also been added to this product give a boost of collagen, which helps skin to feel plump, smooth and supple. This Firming & Moisturising Eye Gel targets dark circles and puffiness – it sounds like just what I need! This product also has added Hyaluronic acid to help keep the eye area plump whilst smoothing out any fine lines. The Eloquence Nourishing Treatment Oil has been specifically blended with Coconut and Sweet Almond Oil to help to renew, repair and revitalise skin, hair and nails. I’m a big fan of face oils so I’m really hoping I’ll love this product! And lastly the Protect and Repair 24 hour cream – which also has added Hyaluronic Acid – this is perfect to use during the day to not only condition skin but to also give UVA & UVB protection, or even at night to hydrate and replenish skin while you sleep. I’m really excited about trying out these products over the coming months, I’ll have another post for you soon to let you know how I’m getting on! Next Post Charlotte Tilbury Book of Makeup Magic – Contents Revealed!